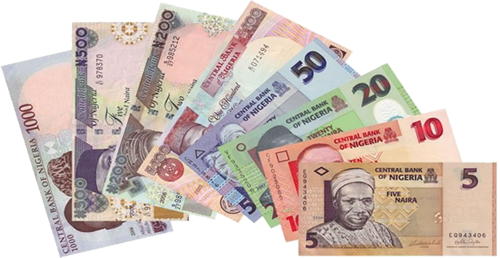 Nigeria can turn its ‘Yahoo- Yahoo’ problem into positive thing that will see the country earning huge billions of naira in revenue in the area of software development, the Administrator of the Digital Bridge Institute (DBI), Dr. Ikechukwu Adinde has said. He said in an interview that this could be achieved when there is a conscious national will to invest in the training of Nigerian youths and creating the right environment where they can unleash their creative and innovative abilities. Beyond the training, there must also be a consciousness to patronize their products which are basically software and apps rather than sourcing for these products abroad, he said. “If you look at the demographics of our young people you’ll find out that they’re very savvy, entrepreneurial and talented but I think there’re a number of environmental factors that also limit opportunities which is why some of them, in a bid to survive deploy these talents negatively. “India was able to identify the need to mainstream the talents and skills of their young people positively by consciously building a structure and framework to enable them acquire these skills and it became an export product for India and the rest of the world and that is what Nigeria has not done”, he said. The boss of DBI, owned by the Nigerian Communications Commission (NCC), said Nigeria should be able to export software and allied products as an alternative foreign exchange earner in much the same way India has done over the years. “If we’re able to harness the potentials of these young people, especially in the area of ICT it will amaze you how much they will unleash. Many of the Africa economies are waiting for Nigeria; a lot of our young people can go into Sub-Saharan countries in West, East and North Africa by exporting their skills to do things but that hasn’t happened because there has not been a conscious effort to actually develop these things and tap into them,” he said. “We had made a case sometime in 2016 at the capacity building symposium organised by the International Telecommunications Union (ITU) that the investments in USPF (universal service provision fund) across Africa instead of being channelled wholly and exclusively to ICT infrastructure should be dedicated to ICT skills development, in that if someone is investing $10million in ICT infrastructure, 10 per cent of the money should go for ICT skills development especially targeted at the youths now commonly called the millennials. “They are the ones who will use the infrastructure to innovate, create and develop the things that will make the future happen, but as long as we don’t make that investment then it means that you’ll put a piece of ICT equipment in an office and nobody is using it because the skills are not there”, he said. According to him, there’s a critical need to invest in building ICT capacity for the young people and that’s why “DBI continues to innovate programmes that target the young people so that we fulfil our mandate in that area”. He explained that their training focuses on both young persons and those who are advanced in age but wish to upscale their ICT skills. “We have young people who have just finished from secondary school and are looking to pursue a career in ICT. They join our National Innovation Diploma programme, which is a two-year programme (Telecommunications Technology, Multimedia Technology, Networking and Systems Security and Computer Hardware and Software Engineering), after which they can move on or if they want to continue at a higher level they can pursue a degree in higher institutions”. On the NID programme, he said: “We have people with degrees who come into the programme because the course is practical based, where the students are mostly in the lab. We have computer science graduates who are currently taking this programme (in Lagos and in Kano). The reason they’re in the programme is because they want to get hands-on experience from our labs and workshops. We also have professors, PhD holders and those in the public sectors with us; our programmes attract participants from across a wide range of the market”. © 2015 Digital Bridge Institute. All rights reserved.